Trend Spotlight: Eat Pray Love and Win! Thanks to everyone who entered! Your personal style will be featured in an exclusive post next week! U In honor of the upcoming film Eat Pray Love, opening Aug. 13, starring Julia Roberts, Cost Plus World Market stores nationwide will feature a fashionable line of Eat Pray Love merchandise that evokes the warm and inspirational themes of the film. · Block Print Paisley Tunic – Whether worn with jeans, over a yoga suit or simply as a beach cover-up, our Block Print Paisley Tunic adds just the right touch of understated elegance to any outfit. 100 percent cotton and made in India. · Bucket Hat with Grosgrain– Our Eat Pray Love™ Bucket Hat provides comfort, shade and style for sunny days, just as Elizabeth Gilbert’s did during her journeys. The chic paper bucket hat is adorned with beautiful striped grosgrain ribbon trim, allowing it to be sported with any attire for every outing. · Beaded Stretch Bracelets – When you need that extra splash of color to complete an outfit, grab some of our Eat Pray Love™ Beaded Stretch Bracelets. These multi-colored bracelets are created in India and offer a fashion forward vibe yet are affordable for every wearer. 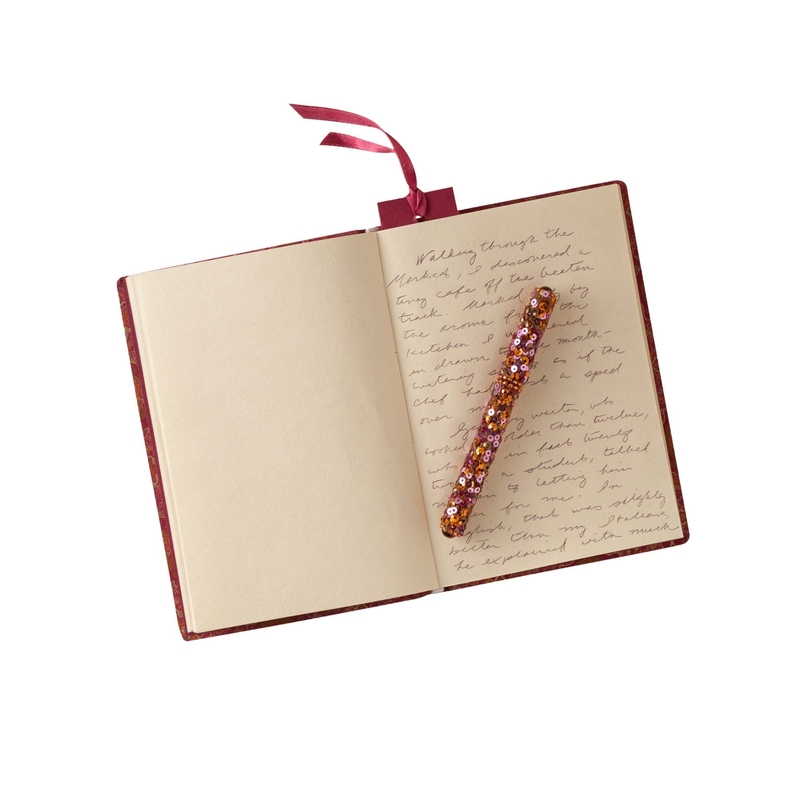 Exclusive to Consuming PR, I am giving away a Cost Plus World Market Eat Pray Love journal and pen to my readers! Post a comment or tweet me (@ConsumingPR) by sharing your personal style (e.g. bohemian chic, punk rock or however you describe your style). I’ll pick a winner at random next Friday, Aug. 13, and feature your personal styles in an exclusive post! Here’s an example: @ConsumingPR My style is hipster-chic meets Winnie from the Wonder Years! So, what’s your personal style? Fruitz Watches recently approached me with information on their 24 summer colors featuring delicious flavors like raspberry, lychee, golden pear and melon. Not only are these watches fun and fresh for a bold summer statement, they have natural frequency technology allowing wearers to sleep better at night, maintain increased focus during the day and reduce overall stress levels. Pretty remarkable! If you’re looking to de-stress your life through fashion, you can find Fruitz at fruitzwatches.com, Bloomingdales and Nordstrom for $225. We’re in the midst of Spring 2010 Fashion Week around the world and we’ve been blessed with New York, London, Milan and Paris thus far. Check out the current trends to look forward to during the chilly months ahead. With powdery pastels and tailored jackets, spring brings a more conservative look to consumers giving yet another break in this tired economy. The styles are more tame and reminiscent of the 1940’s when people were also trying to climb out of a recession. Find complete collections from fashion week at Coutorture.